Age/Weight Chart | American Pride Youth Football League - Football and Cheerleading serving Dale City, Manassas, and Woodbridge. 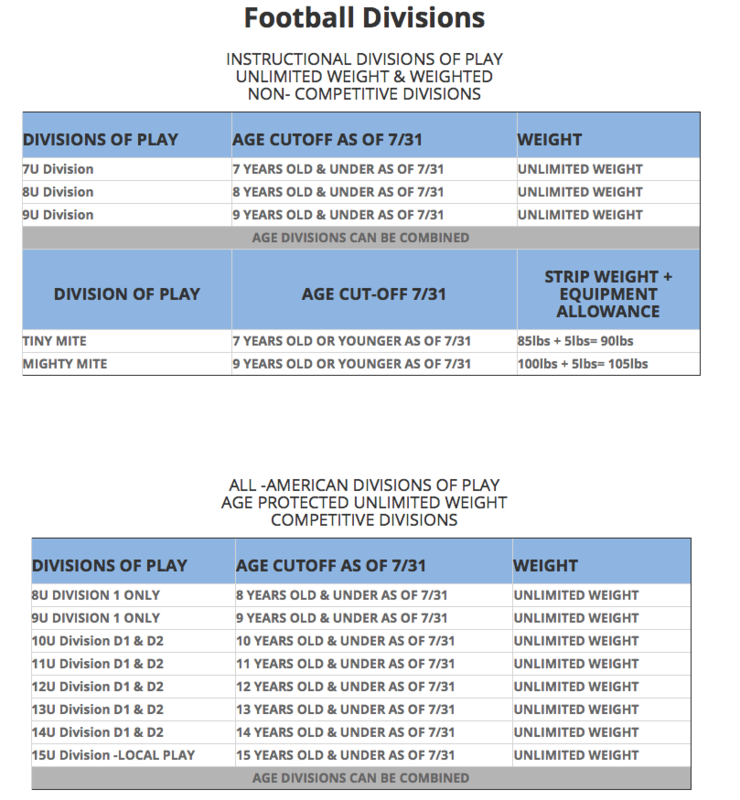 AYF Tackle Football Divisions of Play. FCYFL tackle football weight chart. Player's age is as of October 1st of the current season. Having problems figuring out where your your child should be? Click here.